A real four day trail ride staying overnight two different hill farms and one inn. Excellent riding on varied terrain with great riding days in the saddle and a number of route choices on all days. We all look forward to welcoming you on The Radnor Hamlets Trail . .
Radnor Hamlets . 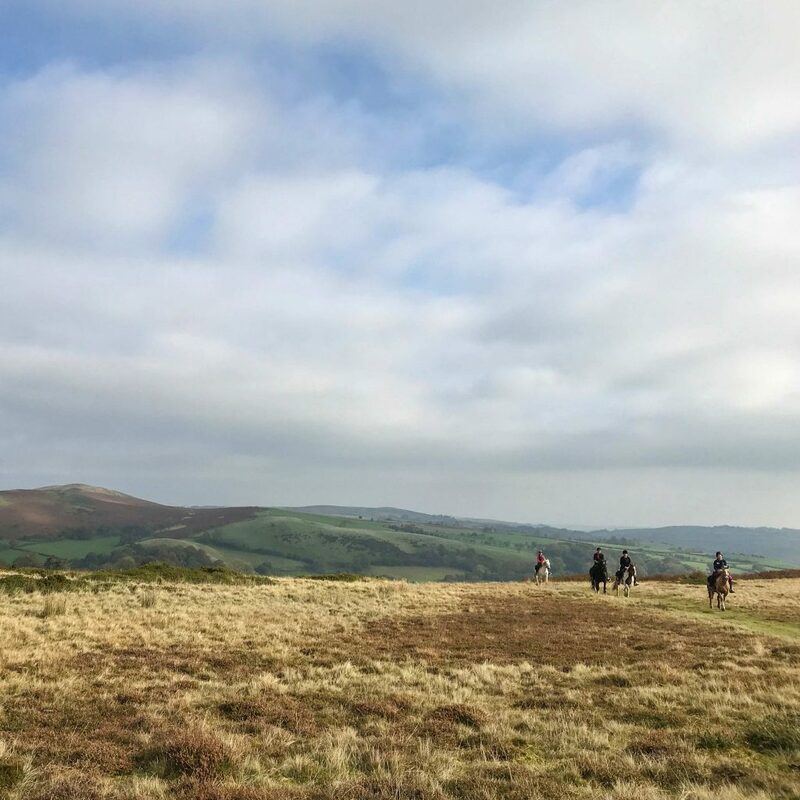 . .
A fine and varied four days in the Radnor Hills leaving Freerein along the green lanes and hill tracks that are the start of the Begwns Trails, with optional lunch stop at the Roast Ox in Painscastle. At the end of the first day you and your horses will stay at either Cwmfillo or New House for the night. Great riding days in the saddle . . .
A great choice of routes is offered on the second day. An early start is recommended for the longer trail which has the option to stop at the Royal Oak Inn for lunch. Alternatively take a packed lunch tie up under the huge old pine trees near Black Yat and take in the views. Either way your route finishes the day by descending to Llanfihangel Nant Melan where you and your horses stay the night at the Red Lion Inn or the Fforest Inn. Continue Exploring . . . The third day on this horse riding holiday, another day in the saddle takes you to either Goblaen or Newgate guest houses. Again you have a pub to stop at – The Hundred House Inn, where you can tether the horses and enjoy lunch. 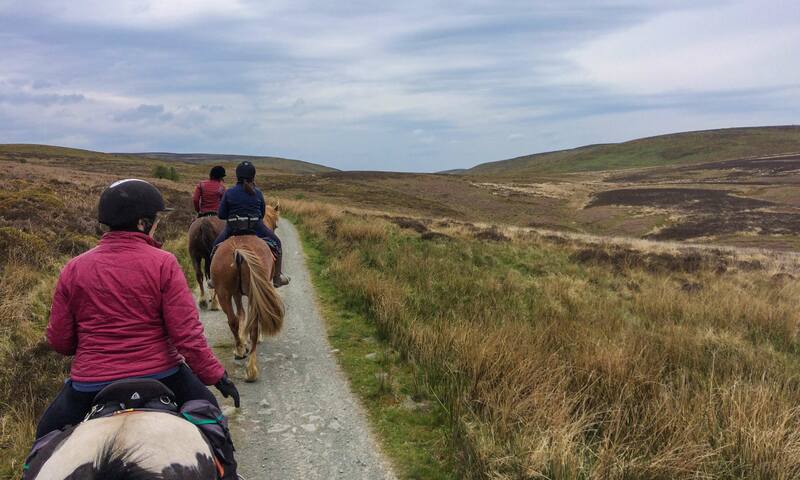 After lunch you ride over the remote Aberedw and Llanbedr Hills with great canter opportunities before gently riding down into the valley and the meandering country lanes to Goblaen or Newgate. The final day offers a choice of routes, either via the Hergest Bridge or via Maun Pools back to Painscastle and over the hills to Freerein HQ. Pack saddle bags then prepare your horses. Go through your individual route pack & depart HQ. horse riding holidays review Out on trail all day. Arrive at New House or Cwmfillo - untack, feed & turn your horses out in the field. Relax for the evening and enjoy a home cooked meal. Feed, groom and tack up your horse. Out on trail all day with an option to stop at Royal Oak Inn. Relax for the evening at the Red Lion or the Fforest Inn. Feed, groom and tack up your horse. Out on trail all day. Pub lunch option. Relax for the evening at The Old Rectory. Feed, groom and tack up your horse. Out on trail all day. 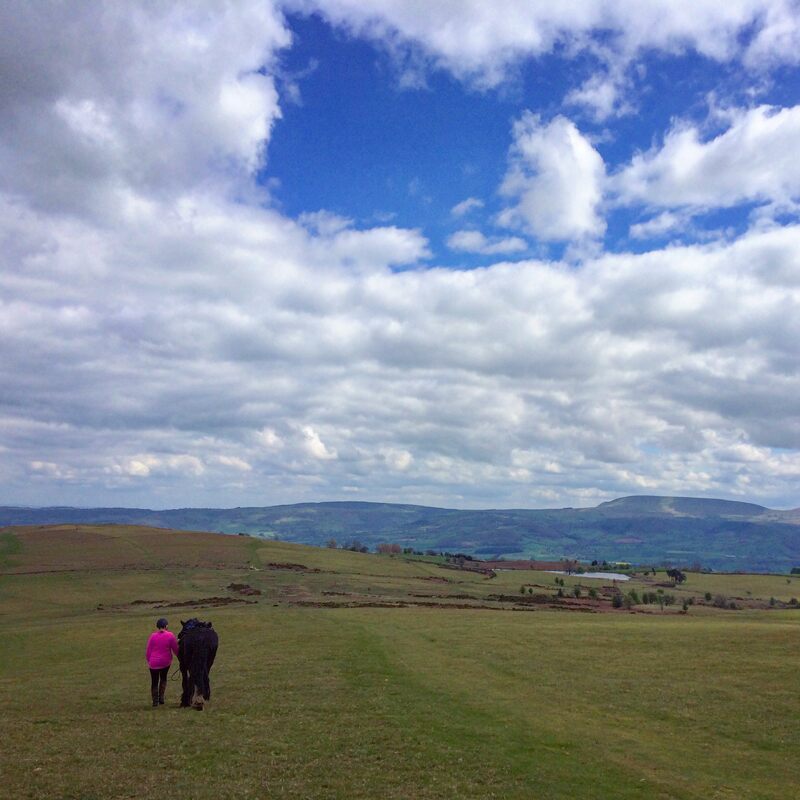 Return all the way to Freerein HQ around 5pm for tea and homemade cake. The best part was being able to start at our own pace and stop when and where we wanted for breaks, photos, lunch - perfect . . .